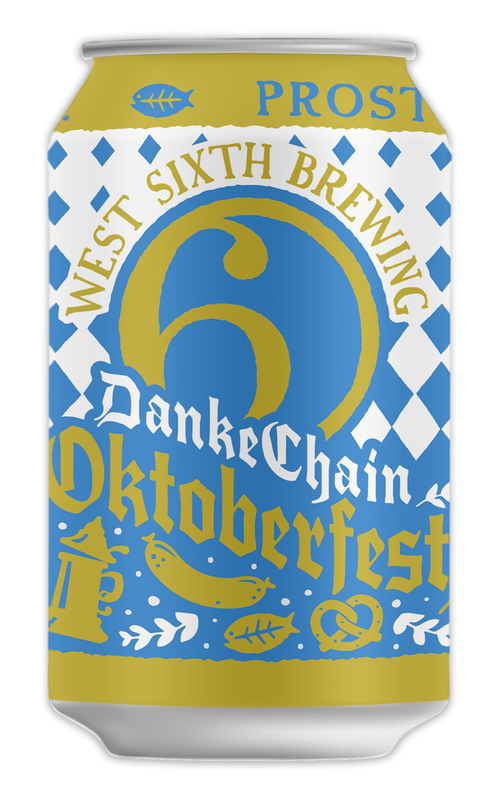 West Sixth Brewing announced today the latest beer in their seasonal series: the DankeChain Oktoberfest. It will be available in cans throughout their distribution area beginning in August. Following the Belgian Blonde and Heller Heaven Double IPA seasonal, this beer is the perfect one to enjoy as summer begins winding down and Oktoberfest season begins. It’s a traditional German-style lager that’s moderate strength and malt-focused. “We’re really excited about this version of our DankeChain Oktoberfest” said head brewer and co-founder Robin Sither. “We first released this beer for our Oktoberfest celebration the first year we opened and have continued to improve on it through a series of experimental batches”. The beer is named DankeChain in reference to FoodChain, the non-profit indoor aquaponics farm next door to the brewery. 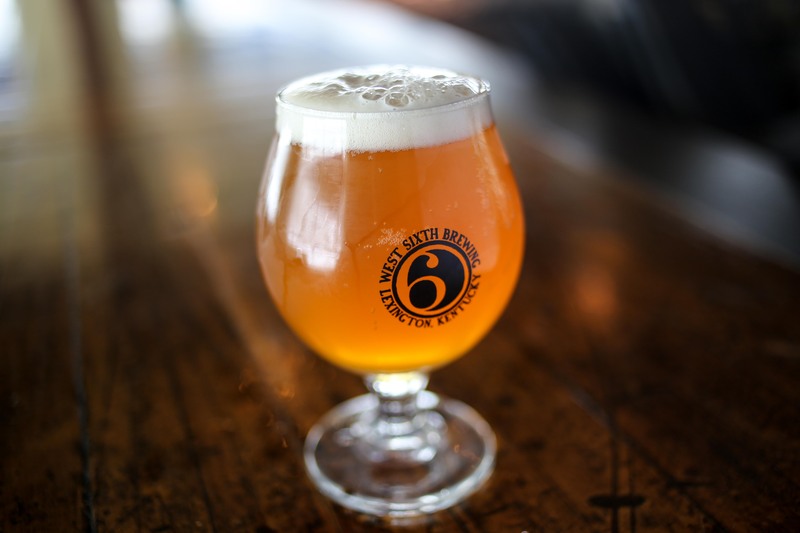 They have been a partner with West Sixth Brewing since the beginning, using the spent grain from the brewing process to grow tilapia and a variety of vegetables in a sustainable manner. Co-founder Brady Barlow said “We’re particularly excited to release this beer in order to have it available for all of the great events we’ll be at this fall. From the Woodland Art Fair and Crave in Lexington, to NuLu Fest in Louisville, to Zinzinnati Oktoberfest in Cincinnati, you’ll see this beer everywhere”. The beer will be available throughout West Sixth’s distribution area in kegs and cans beginning in August. Cans will be sold in a 6 pack, 12 ounce can set. 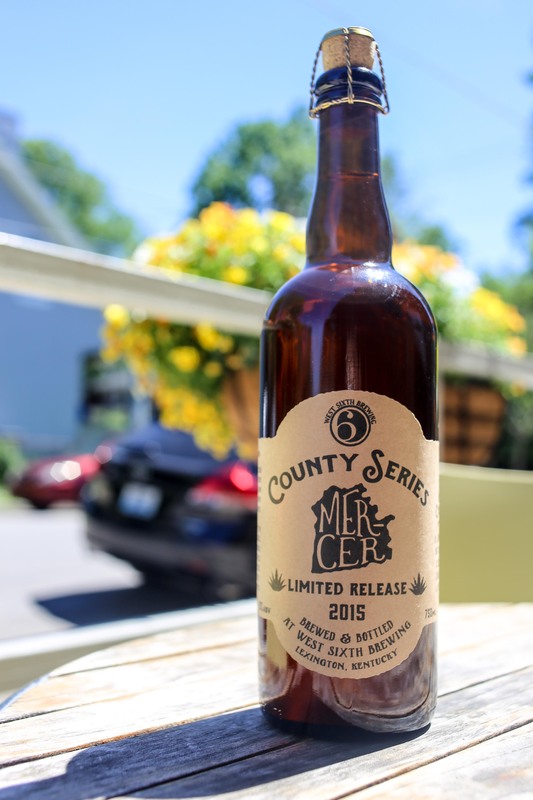 First, we announced the next beer in our county series: Mercer County. It’s a blend of Belgian Tripel and Berliner Weisse that we aged in beautiful white oak Mezcal barrels. Finished with lime zest, this beer is perfect for the summer, and we recommend you drink it now rather than let it age! The name is inspired by the cooperage history of Shaker Village – while not created in Kentucky, the Mezcal barrels are beautifully hand-crafted! It goes on sale next Tuesday at 5pm in the taproom, only 400 bottles are available (limit 1 per person). Second, we announced our Summer Open House on Saturday, May 30th at 3pm. If you missed our first one, don’t miss this one. It’s an opportunity to get an in depth tour of the brewery, watch beer being made and canned, and interact with brewers, owners, and other staff! Tickets are $40 (limited to 100), and include 5 tastings (including a double IPA straight off the canning line), light appetizers, a glass to go home with, and either a Mercer County bottle or a 4-pack of Double IPA. If you can’t wait in line next Tuesday, this is a great way to spend your Saturday afternoon and also snag a bottle! Buy your tickets here, but don’t delay as it will sell out! 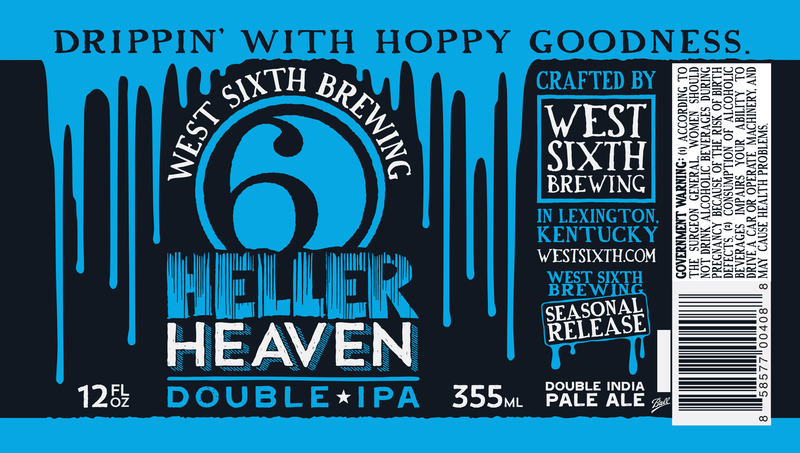 Lexington, KY – May 12th, 2015 – West Sixth Brewing announced today the next beer in their seasonal series: the Heller Heaven Double IPA. It will be available in cans throughout Kentucky in June. 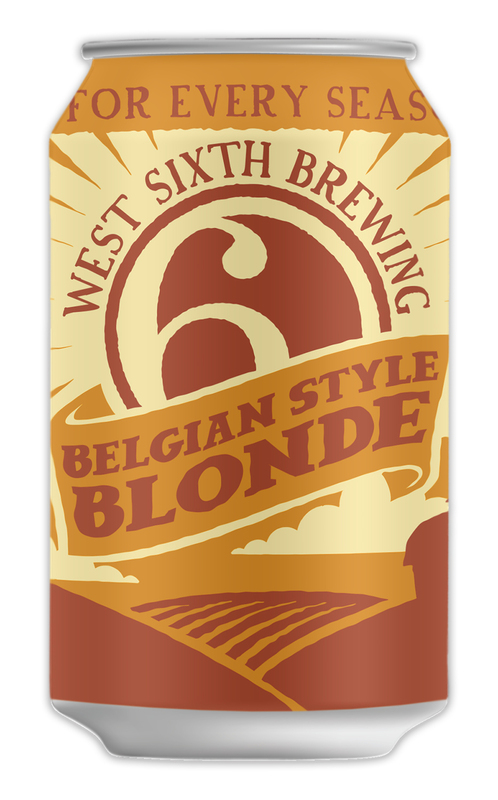 The first beer in their seasonal series, the Belgian Blonde, “Went over incredibly well”, said West Sixth co-founder Joe Kuosman. “The Blonde was a great spring beer, easy drinking in the warm weather. We’re really excited, though, for the Heller Heaven Double IPA to make its debut, because it’s been one of the most popular beers in our taproom since the beginning”. “We’ve been making this beer from the very beginning of West Sixth” said brewer Robin Sither. “Filled with Amarillo and Simcoe hops, and weighing in at a full 9% ABV, it’s a craft beer lovers’ Double IPA”. The beer is named after Lexington artist Sarah Heller, who was one of the initial artists present in the Bread Box Studio Artists space next to West Sixth Brewing. She was instrumental in the launching of the brewery, and designed and built a giant mural on the side of the brewery made from recycled building and bicycle parts and dripping paint. The beer will be available throughout West Sixth’s distribution area in kegs and cans beginning in June. Cans will be sold in a 4 pack, 12 ounce can set. Horses and bourbon. Bourbon and horses. As a Kentucky resident, that’s what I hear every time I tell out-of-staters where I live. That’s when I’m happy to inform them that the Commonwealth (it’s not a state) is also home to some good brewing and fine food. 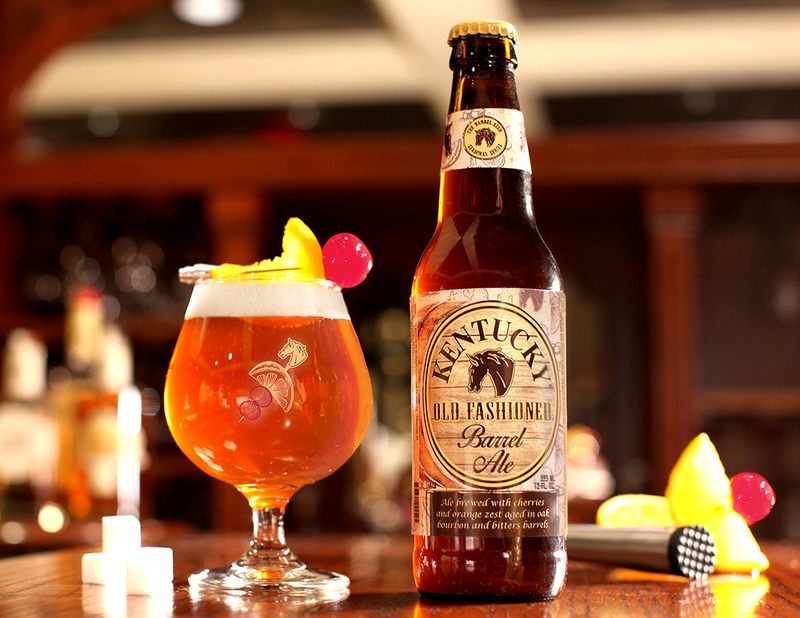 Host Alltech Lexington Brewing & Distilling Co. (Kentucky Brewery of the Year, 2014 NY International Beer Competition) makes a lot of products, but one of those is beer. So it is that the Alltech Craft Brews and Food Fest came to be, as part of the third Annual Lexington Craft Beer Week. And following that May 16 event, Alltech will host the Alltech REBELation Brewing and Distilling symposium on May 18-19, a talk featuring some big names that will examine the explosion of craft beer, the importance of a good distributor and the economics of returning moonshine to the mountains and boosting the eastern Kentucky economy. More than 120 beers brewed by 40 breweries from across the nation will be available; breweries that will have their liquids available include New Belgium Brewing, Sierra Nevada, Blue Point Brewing Co., Goose Island, Country Boy, Sweetwater Brewing, Dogfish Head, Stone Brewing, Bell’s Brewery, Founders Brewing Co. and, of course, Alltech. . Brewers even used bitters, an ingredient in Old Fashioneds and other cocktails, in the brewing process. “We figured what better brewery to make a beer like this than one that also produces its own bourbon and is known for its barrel aging?” Alltech master brewer Ken Lee added. 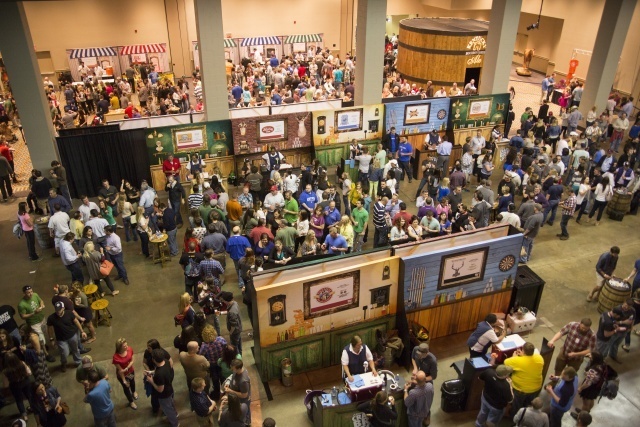 The festival will also feature the only professional craft beer competition in Kentucky, the Alltech Commonwealth Craft Beer Cup, as well as a sneak peek at the new Alltech Brewing & Distilling Academy. Tickets to the Alltech Craft Brews and Food Fest are $30 in advance ($35 at the door) and can be purchased online. The tickets include 20 beer sample tickets and a souvenir glass. Registration for REBELation can also be done online. Today, we’re excited to announce the return of one of our fan favorites: the West Sixth Christmas Ale! Last year, we launched this in very limited quantities, and it was a wild success! We sold out of almost all of the beer in just 24 hours. This year, we’ve been planning further ahead, so we’ve been able to make a bit more of it – but based on last year, we have no idea how long it will last! 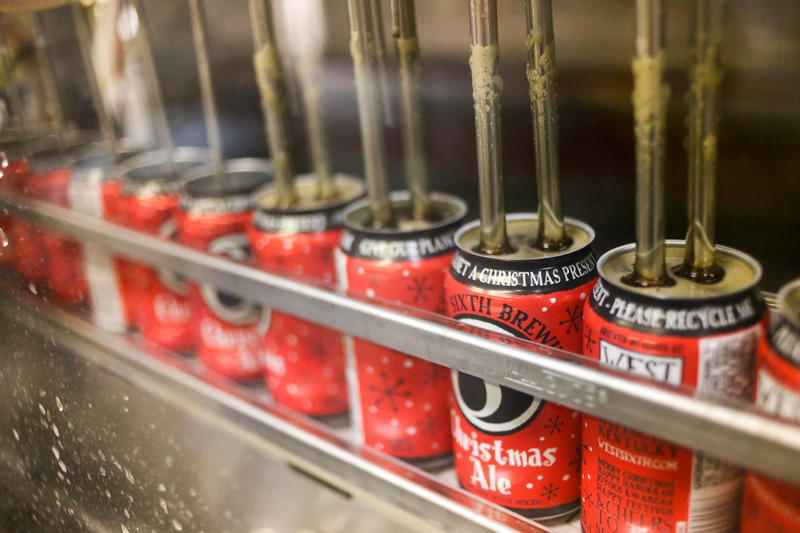 We’re going to release the Christmas Ale on draft and in 6-packs on Monday November 17th at 4pm in the taproom. It will also be available at retailers around the state and in Cincinnati. We’ll have special giveaways for our launch, so you aren’t going to want to miss it! For those who didn’t get a chance to try it last year, the West Sixth Christmas Ale is a spiced ale with aroma of cinnamon and nutmeg with a sturdy malt backbone that will hold up to the chilliest of nights. It’s a higher gravity beer weighing in at 9% ABV. This is our slightly darker take on a holiday beer – perfect for evenings by the fire. Come on down, and help us kick off the holiday season right! 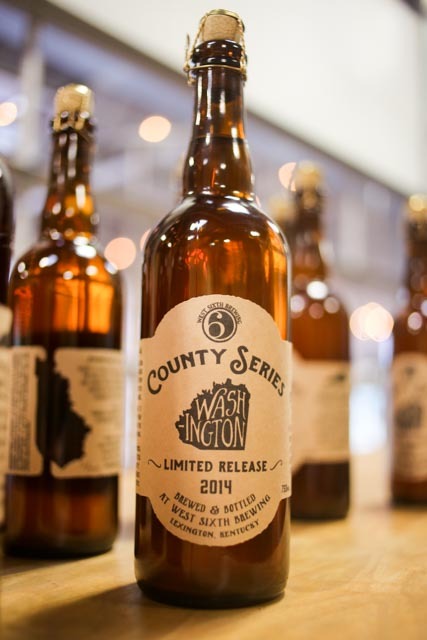 West Sixth Brewing announced today the creation of a new series of limited edition beers called the “West Sixth County Series”. West Sixth plans to release around 3 different beers each year, in extremely limited quantities, each named after a different Kentucky county. The limited edition bottles feature labels designed in partnership with Cricket Press. Each bottle was hand-bottled and hand-labeled and is individually numbered. The label features a cut of the state on the back. These beers will go on sale next Monday, October 13th, at 5pm. Bottles will be $20 and will be limited to one bottle per person since supplies are so limited.